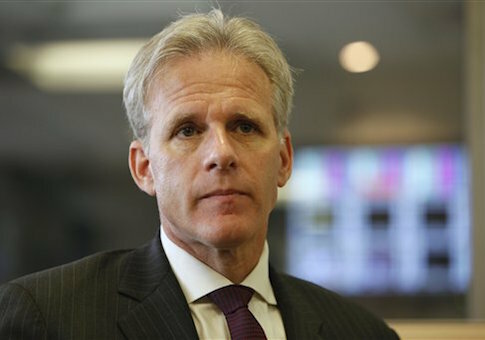 Obama administration staffers listened in on and "cheered" the private scolding of a former Israeli ambassador by senior a State Department official, according to new disclosures by that ambassador, Michael Oren. The incident took place in 2010, when the Obama administration stoked tensions with Israel over its decision to continue building homes in Jerusalem neighborhoods, according to Oren, who recounts the episode in his new memoir, Ally: My Journey Across the American-Israeli Divide. At the time, the Obama administration was upset Israel had announced the construction of 1,600 new homes for Jewish people in neighborhoods in East Jerusalem. The announcement coincided with a trip to Israel by Vice President Joe Biden. The episode sparked a public spat between Israel and the Obama administration, which condemned the housing construction and privately scolded Israeli Prime Minister Benjamin Netanyahu and then-Ambassador Oren. Oren recounted that when he landed back in Washington, D.C., following the trip, he landed "to learn that [then] Secretary of State Clinton has excoriated Netanyahu for 45 minutes over the phone, rebuking him for humiliating the president and undermining America’s ability to deal with pressing Middle East issues." Soon after that, Oren found out that he had been "summoned" to the State Department for an "immediate meeting," according to the book. Before attending the meeting, Oren huddled with his senior advisers and informed them, "while I would continue to adhere publicly to the ‘all’s well’ [between the United States and Israel] pose, behind the scenes I would forcibly resist this attempt to fabricate a crisis." Oren then traveled to the State Department for a tense meeting with then-Deputy Secretary Jim Steinberg. Oren later found out the meeting was being listened to by State Department staffers, who "cheered" as Steinberg upbraided Oren. "There, waiting in his not-nice American mode, was Deputy Secretary Jim Steinberg, who proceeded to read me the text of Hillary’s conversation with Netanyahu," Oren writes. "This contained a list of demands, including a total building freeze in East Jerusalem as well as the West Bank, most of which would be unacceptable to any Israeli prime minister, much less a [right-leaning] Likudnik." Steinberg went on to lecture Oren in a "furious" manner. "Steinberg added his own furious comment—department staffers, I later heard, listened in on our conversation and cheered—about Israel’s insult to the president and the pride of the United States." Oren said he did not hold back in his response. "Let me get this straight," Oren recalls saying. "We inadvertently slight the vice president and apologize, and I become the first foreign ambassador summoned by this administration to the State Department." The Israeli people, Oren said, "will see this as nothing but a pretext to arm-twist us and beat up on us." A State Department official declined to comment on the issue. One former high-ranking White House official said the Obama administration’s treatment of Oren is unusual. "In eight years at State and eight at the [White House National Security Council], I never participated in a meeting with the secretary or deputy secretary of state that was piped elsewhere in the building through hidden microphones," Elliott Abrams, a former deputy assistant to the president and deputy national security adviser in the George W. Bush administration. "There were always note takers present and everyone understood that each side could distribute its own notes, but foreign diplomats could rely on the U.S. not to tape the meeting or broadcast it to others outside the meeting room where it took place," Abrams said. "If this really happened as Oren says, one has to ask whether this was a punishment devised especially for Israel, or whether there were hidden microphones recording lots of other Steinberg and Clinton meetings." One senior official with a D.C.-based Jewish organization was not surprised to learn that State Department staffers were pleased when Oren was upbraided. "The president stacked the State Department with opponents of Israel, then let them indulge themselves by picking new fights with Israel every few months," the source said. "Of course they enjoyed it. This is who they are. This is what they do."